(CNN) The dominant themes of Mel Gibson’s filmmaking career have been extreme violence, history and religion. Small wonder that the actor would find a project that combines them all to begin his comeback climb with the fact-based war drama “Hacksaw Ridge,” ending a decade-long directing hiatus. A stirring, astonishing tale of bravery billed without qualification as “a true story,” the movie is painfully earnest — indeed, almost old-fashioned, other than its graphic rendering of what World War II looked like up close and personal, specifically during the battle to capture Okinawa in 1945. Instead, Gibson (working from a script credited to Robert Schenkkan and Andrew Knight) dutifully chronicles the story of Desmond Doss — the first conscientious objector to receive the Medal of Honor — in three distinct chapters: his Blue Ridge Mountains upbringing by a religious mother (Rachel Griffiths) and abusive father (Hugo Weaving), a veteran of World War I, and courtship of future wife Teresa (Dorothy Schutte); basic training, as the military tries to drum him out of the service for his beliefs; and the war, a melee of ravaged limbs and spurting wounds. 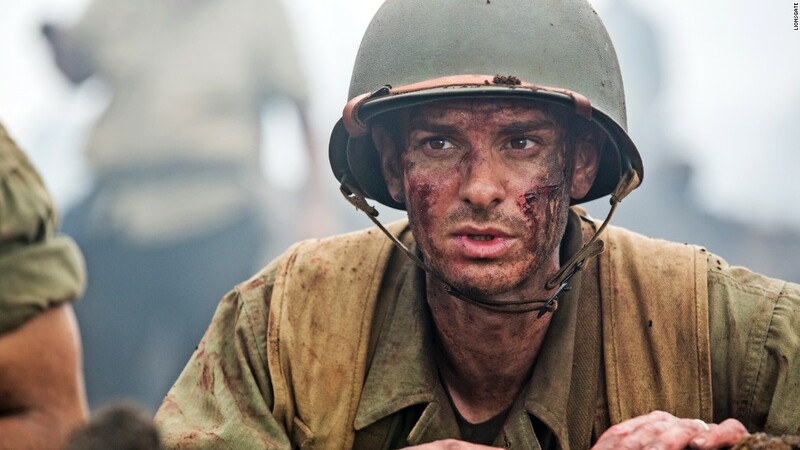 Despite being a Seventh Day Adventist, Desmond (Andrew Garfield) enlists in the army, determined to help the cause without violating his principles by saving lives as a medic. It falls to a tough sergeant (Vince Vaughn) and by-the-book captain (Sam Worthington) to try forcing him to quit, in part by turning his rifle battalion against him. The historical underpinnings are so solid, stripped of any embroidery, that the movie can’t help but deliver compelling moments. More awkwardly, it straddles a line between exalting battlefield heroism and advancing a war-is-hell message with its extended depiction of carnage — further complicating those overlapping concepts with ample religious talk and imagery. Gibson juggles all that with almost martial efficiency. Yet even fact-based material can feel clichd when it adheres so strongly to cinematic conventions, from Vaughn’s snarling drill sergeant to Desmond’s barracks tormentor (Luke Bracey) who winds up becoming a friend/admirer in a foxhole. “Hacksaw Ridge” continues a tradition of wartime valor mixed with conscience as old as “Sergeant York” — only here, presented in Technicolor, with a lot more gore. Given the audience for both, the film could tap into some of the thirst for flesh-and-blood heroes — as opposed, as Gibson has stressed, to the costume-clad variety — that turned “American Sniper” into a huge hit. The unknown factor regarding the film’s fortunes is whether Gibson’s personal struggles will dampen enthusiasm, even if that’s just at the fringes. After labeling him a pariah, Hollywood has clearly moved on, as evidenced by the array of talent willing to work with him. Garfield, certainly, gives the project his all, investing Doss with aw-shucks country charm, and it’s hard not to be moved watching him hoist badly injured men onto his shoulders and carry them to safety. As movies go, though, “Hacksaw Ridge” has something in common with “Loving,” another real-life story opening this week. That’s because in both instances it’s the strength of the underlying narrative, more than the filmmaking, which does most of the heavy lifting. “Hacksaw Ridge” opens in the U.S. on November 4. It’s rated R.